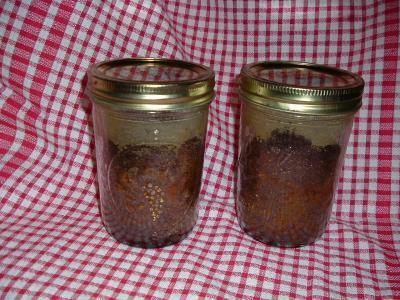 Making cakes and pies in Mason style canning jars is a wonderful way to make great gifts or individual serving desserts. This is a guide about baking in canning jars. This concept is rather simple. Instead of a large pie, you're making a miniature one. Line your canning jar with preferred dough, leaving enough at the top for a fold-over crust. Fill will desired pie filling (apple, cherry, etc.). Cut out a circle of dough with a glass (this will sit on top of the pie filling). Make slits in dough for steam release. Pinch and seal the top edges. Jar lids can be replaced and the pies can be frozen. Be sure to thaw completely before baking. To bake: Preheat oven to 375 degrees F. Place individual jars in a muffin tin. Bake 35-40 minutes or until crust is a golden brown. Let cool about 20 minutes. 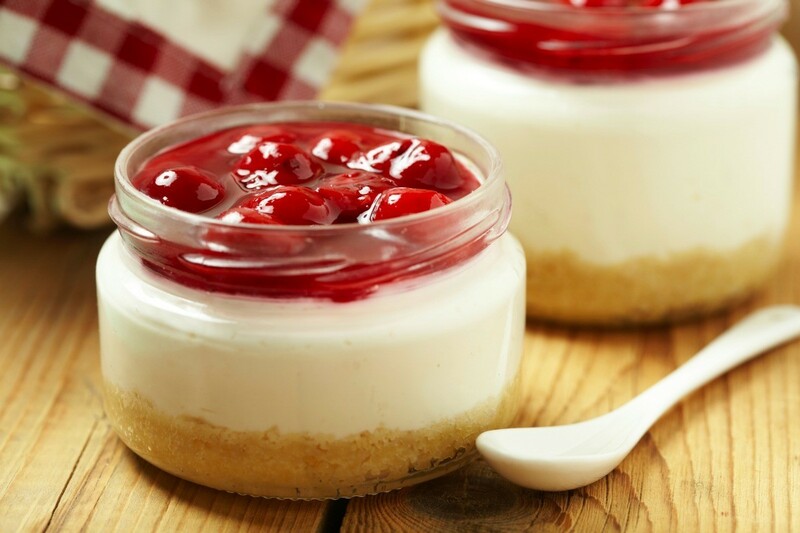 These pies can be eaten in the jar or inverted onto a plate. Take your favorite recipe, Zucchini bread, applesauce raisins, carrot, spice cake, friendship breads, and carrot cake. You can even use box mixes. All you need to do is make your recipe. They are equal to 2 cupcakes. Figure out how many jars you will need to use for a cup cake with the recipe. I have had them last almost a year in the cupboard. If I need frosting, I have the individual packages of cream cheese, powdered sugar and a couple drops of lemon juice. 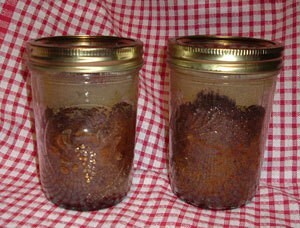 Does anyone know how to bake bread or cake in a canning jar? When do you put the lid on, before or after baking? Hi I have baked applesauce cake in a jar and banan bread. You put the lid on after baking. The heat from the jars wiill seal the can. You will hear the jars start popping as the cake cools then they are sealed. Only fill your jars half full with batter and grease them really well. I use a pastry brush. Use wide mouth jars only. you bake the item first, then while still warm, screw on lid to seal....here is an item I made for gifts last year and was greatly appreciated!! out clean. Wipe rims, put hot seals & rings on hot jars. Will last several months without refrigeration. Zucchini bread, applesauce raisins, spice cake, friendship breads, and carrot cake. You can even use box mixes. All you need to do is make your recipe. Figure out how many jars you will need to use for the cup cake recipe. I have had them last almost a year in the cupboard. If I need frosting, I have the individual packages of cream cheese, powdered sugar and a couple drops of lemon juice. I just went to collect more jars out of my cupboards and discovered 4 jars of cake, I made them in 1988 and to my amazement the cake was still moist, and even tasted good and no I did not eat them, they went to the chickens.